No doubt, discovering Berlin by walking the streets and back streets of Berlin’s various neighborhoods is quite nice. But from time to time having a panoramic view from above can even be nicer. 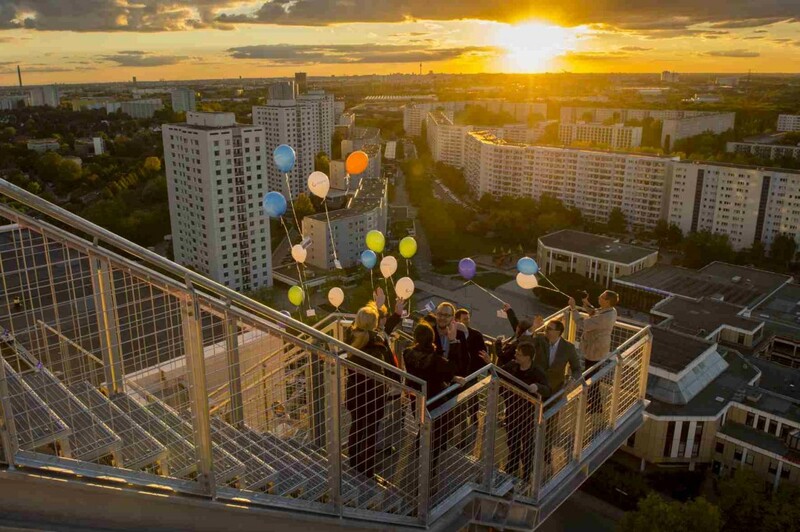 Berlin has a couple of Observation Decks and Panoramic Platforms to offer. Some of those platforms are accessible with free admission, some are rather spectacular, some more casual. On this page I’ll compile a list of Berlin Observation Decks and Platforms that are worth visiting. And as always: this is a slowly growing list – so please be patient and excuse me if it may still look a bit raw. You may however of course add your suggestions either by leaving a comment below, or by sending me an email through the contact page.